You are here: Home / Article Knowledgebase / Bluff Dyed Ruby Stones-This is EXACTLY what you should not be purchasing/Patronizing! Bluff Dyed Ruby Stones-This is EXACTLY what you should not be purchasing/Patronizing! Don’t just depend on an Honest Face, insist on a certificate! If you want to do numbers, you cannot do quality! 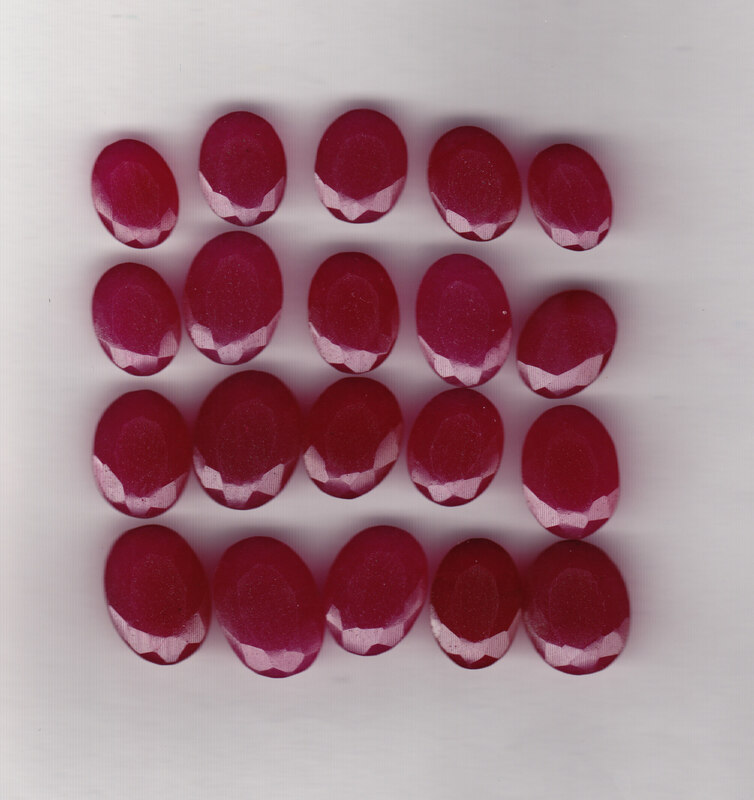 Today we got an offer from a so called Gem Merchant offering these bluff stones what he classifies as Rubies. Offer price $250 for 1 Kg( 5000 carats!). Are we joking? No Sir, the above stones are faceted dyed poor quality Rubies and this is what that is available in the name of Ruby for planetary purposes in 99.99% of outlets/ vendors. Now imagine the economics behind this transaction. Suppose someone invests $250 and purchases 5000 carats of these bluff stones and sells it at $5 per carat/ INR 250, this person stands to make $5*5000 carats=$25,000/-. Phew! That is pretty cool eh! Normally in the Indian Sub continent this stuff gets sold at around Rs.800-Rs.1000 per carat. Approximately $ 20 per carat. That makes the return go to $100,000 and profit of $99750/- for an investment of $250. Even if someone’s adorns himself/ herself with 10,000 carats of these bluff stones they will not get any result. A 50 cent tiny natural Burma ruby will act as a Turbo Charged Missile if we compare it to this stuff. We have issued it in public interest. This same bluff ruby is available on popular Astrology and Auction websites for $50 per carat. Please help us stop this gross abuse. Planetary Gemology is a powerful science and gives powerful results. Gemology does not fail. It is bluff stones that make it fail.